Recipes - Made With Love, For Love! Today I am going to share a very famous soup which is called French Onion Soup. And though traditionally this soup is made in beef stock or may be chicken stock, I made it completely vegetarian. Not because I don't eat non-vegetarian but because I did not have stock. I will also tell you how this can be made with chicken stock. French Onion soup is usually made with caramelized onions but I have tried a different variation here! It was actually quick thinking on my feet as Raj was not feeling well and he wanted something hot to sip on. Also, my kids love soup. 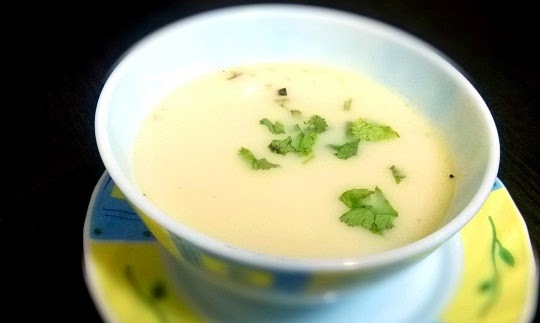 So, I looked into kitchen and thought of making this wonderful soup. As per Raj who is very picky about the food he eats, it tasted yummmmm. So I was glad to hear that! Even the kids lapped it up!!! Yesterday I posted a rich, creamy, silky and calorie laden Safedposh Chicken. 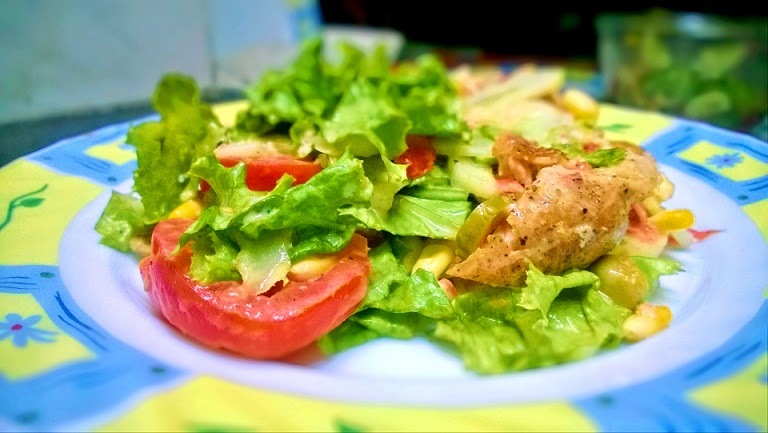 To offset it, here is the healthy and yet delicious "Grilled Chicken Salad" for the calorie conscious!! As you take the bite, the crunchy lettuce and glorious taste of homemade vinegar and lemon dressing greets your taste buds along with the juicy and tender Grilled chicken chunks! If you had salad in Subway, you are about to forget it now!!! It has all the healthy elements like vitamins, fibre and protein!! Sliced Olives. You can get them from the market. Sliced Onions, if you prefer. 2-3 table spoons of vinegar and half the amount of lime juice. I want to get more recipes.